With a distinctly elegant feel, these composite French doors feature two lower panels and two long windows to bring ample light into your home. 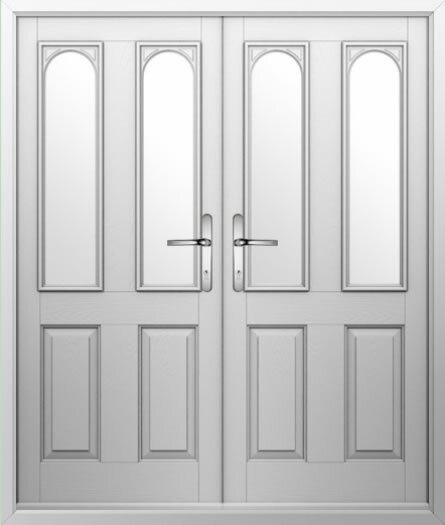 But what sets these double composite doors apart is the arched detailing to the top of the windows. Available in a wide range of colours and various handle options, these exterior composite French doors will add a touch of classic design to your property.